MONTHLY photos contributed by our members for October - 2017. 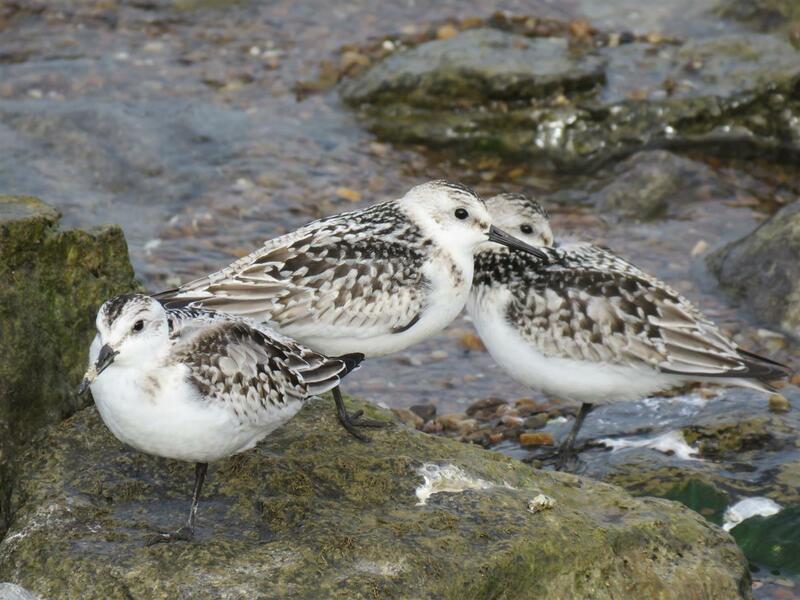 A trio of Sanderlings on the 6th at the terminus of the Bird Island Pier. The end of the pier has a small gravel bar that attracts shorebirds...not a lot of habitat out there! 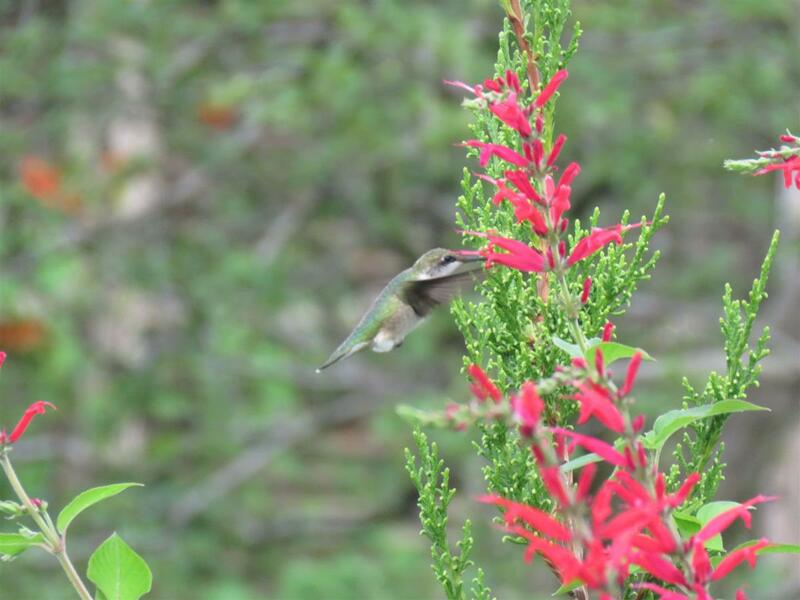 Ruby-throated Hummingbird continuing at a garden on Grand Island on the 7th. Getting to be late in the season for this species. Hurricane remnants grounded passerines on the 9th. 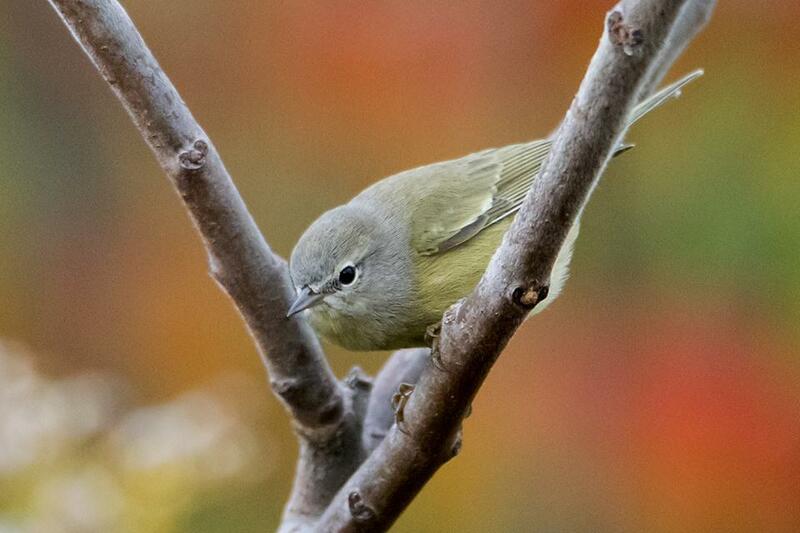 Here a Tennessee Warbler pauses at Beaver Island SP. 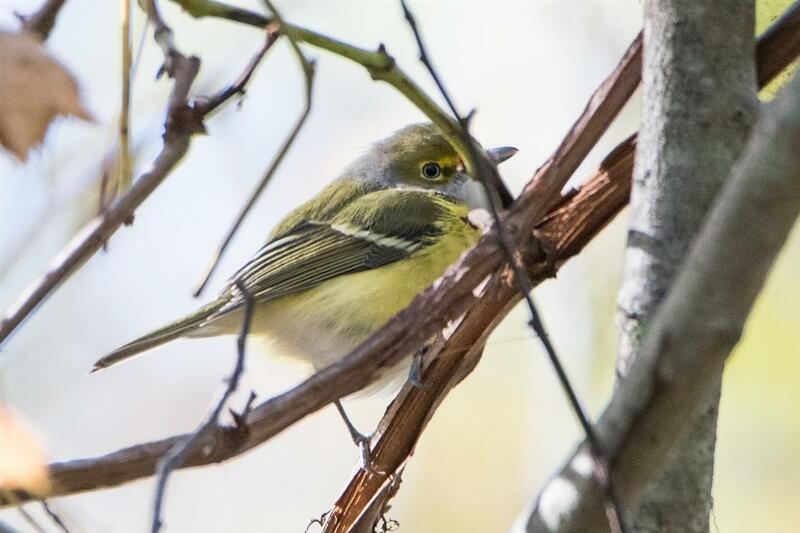 Sue Barth found this White-eyed Vireo at Sturgeon Point on the 19th. 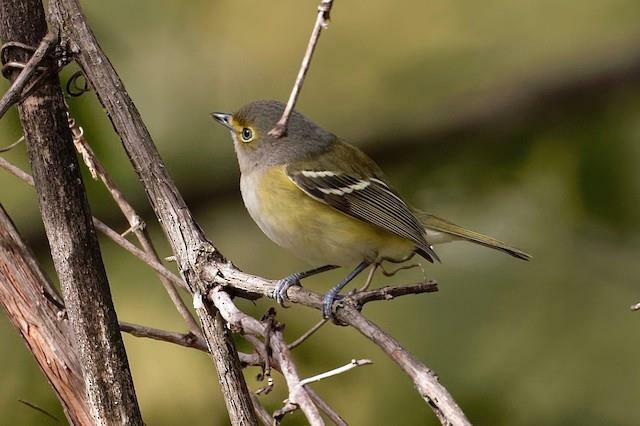 Another view of the Sturgeon Point White-eyed Vireo found on the 19th by Sue Barth. 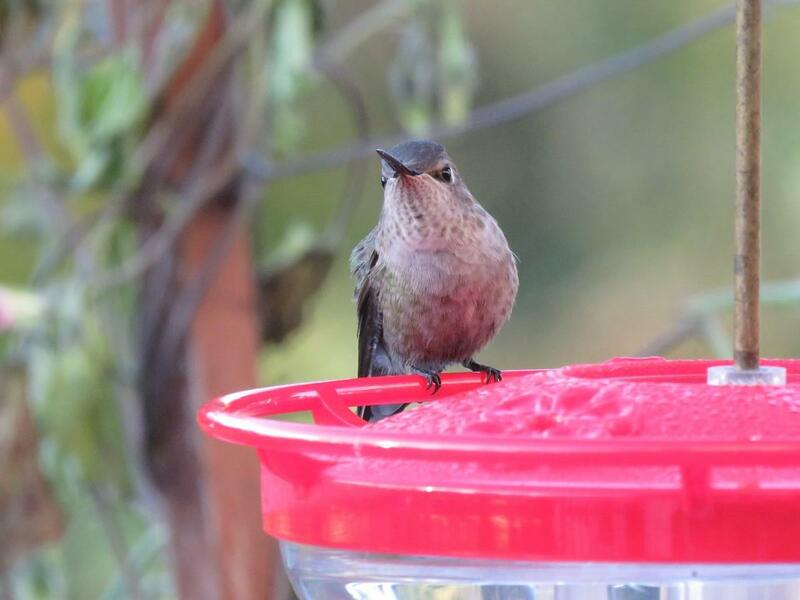 MEGA find by Celeste Morien who had an ANNA'S HUMMINGBIRD visit her feeders on October 20th! Fingers crossed it returns! 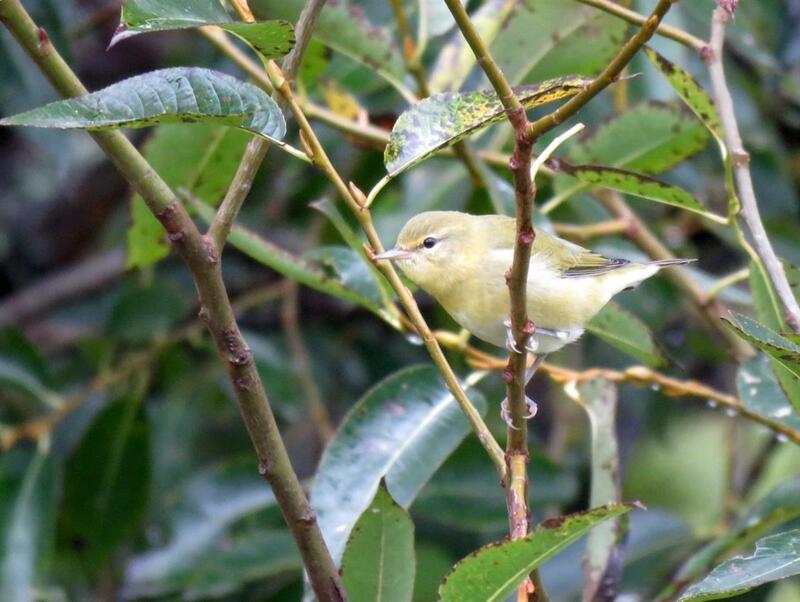 Sue Barth photographed this Orange-crowned Warbler during the October Count on the 14th at Woodlawn Beach SP. 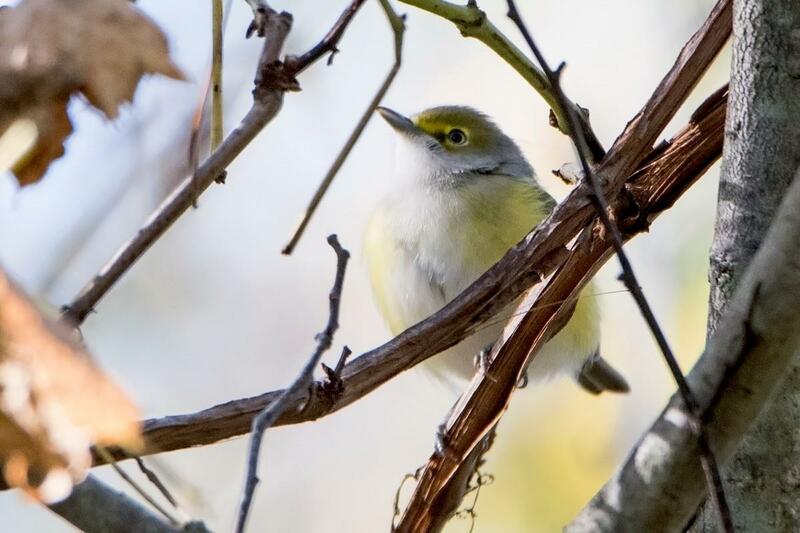 Jim Sawusch found and photographed a second regional White-eyed Vireo for the month of October. This individual was skulking around Amherst SP in Williamsville on the 21st. 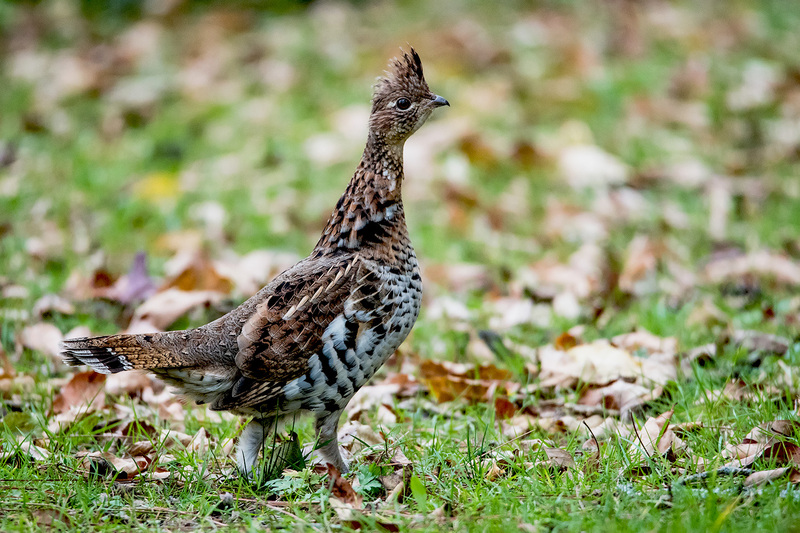 Sue Barth captured this spectacular image of a Ruffed Grouse on the 23rd in southern Erie County. This species has a very limited distribution in the county. 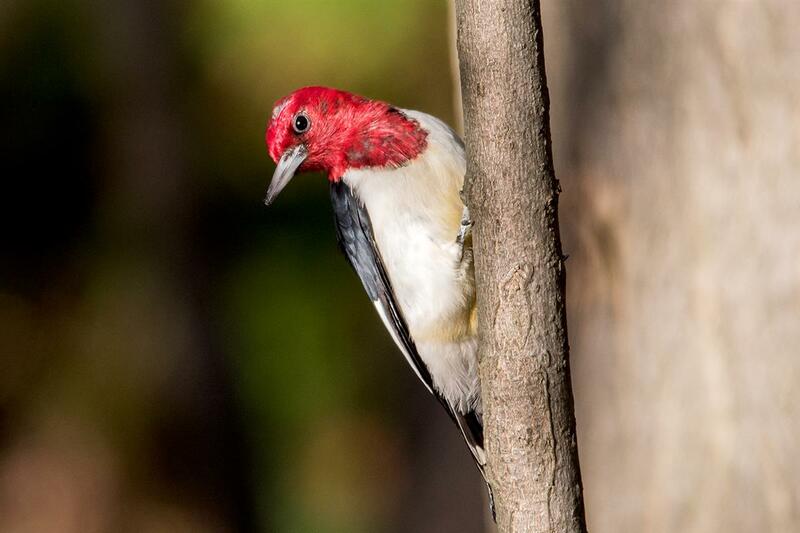 Red-headed Woodpecker seen at Sturgeon Point on the 27th in nearly complete adult plumage. 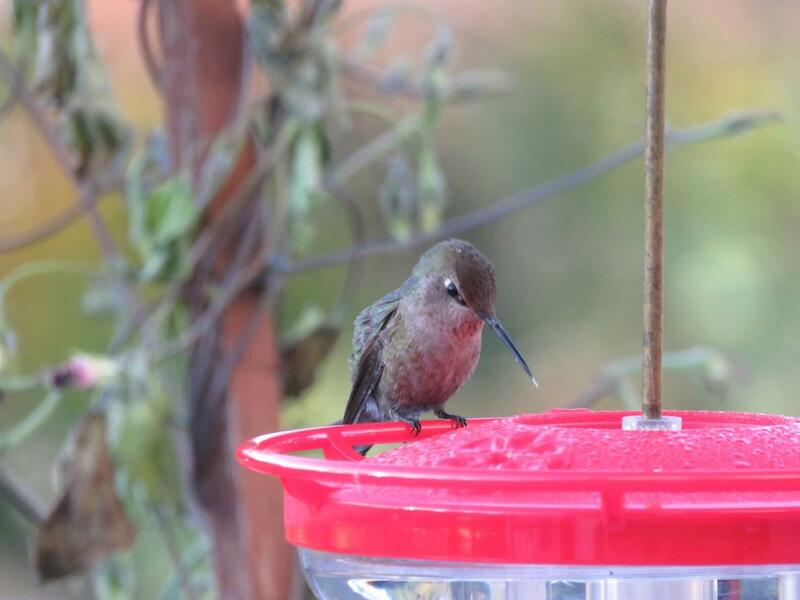 It's getting late - will s/he overwinter?! 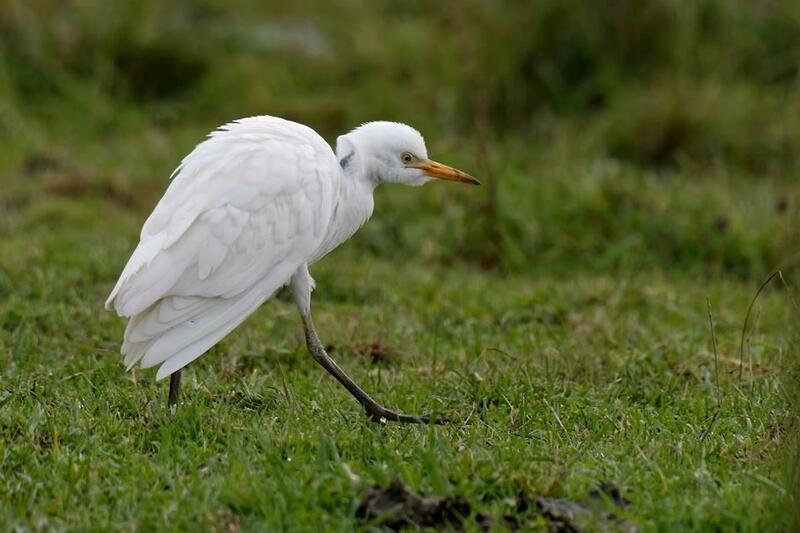 David Crowe found and photographed this Cattle Egret in Allegany County near Cuba, NY. It was in a field along Jackson Hill Rd in a pasture associating with what else...cattle. 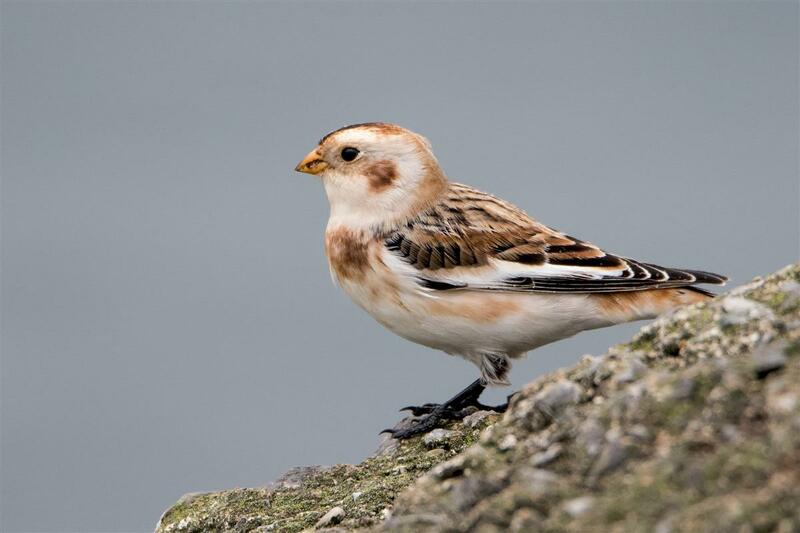 First of Season Snow Bunting. Seen on Bird Island Pier on a rainy Saturday morning, Oct. 28th.